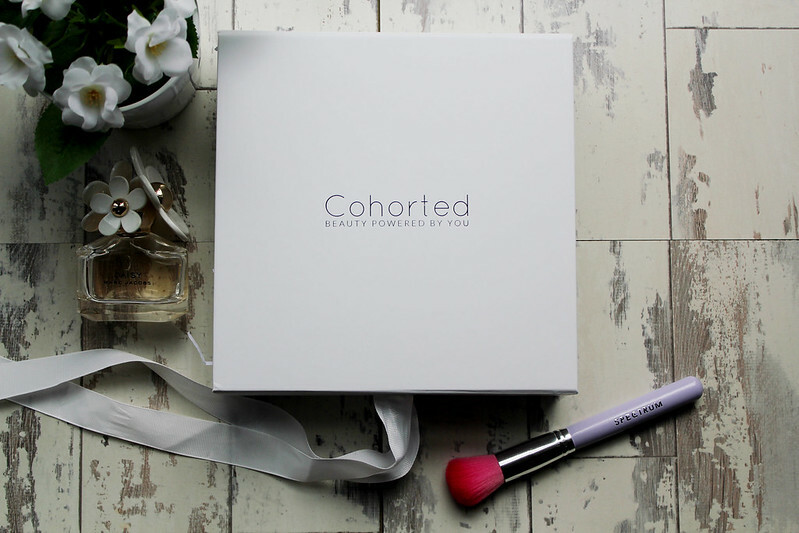 Ever since Cohorted launched their beauty box there's been a huge buzz about the brand through-out the blogosphere. 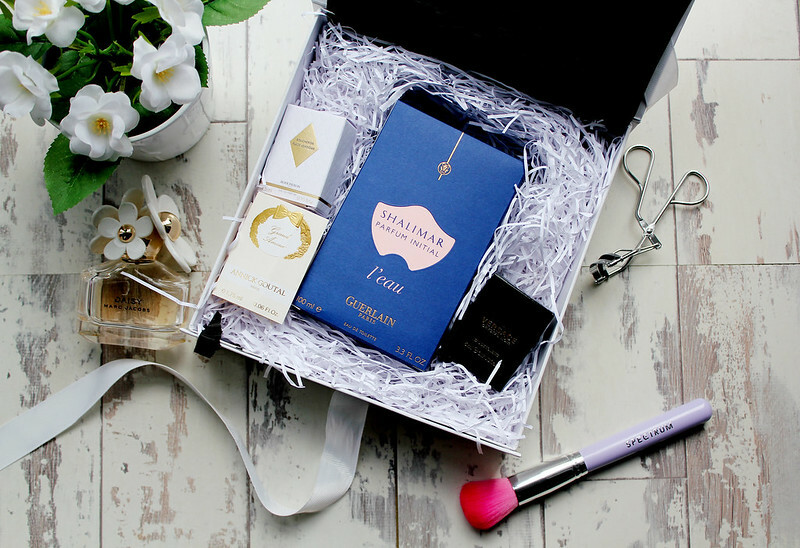 They've definitely gone above and beyond with this beauty box. 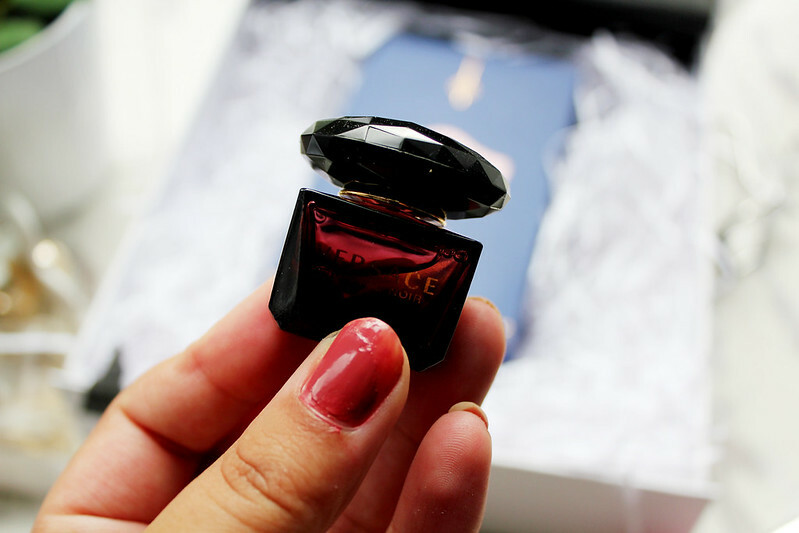 I think this is a great box if you're obsessed with perfumes and if you're looking for new perfumes to try out. The white edition box showcase box high-end and unique perfumes and the value of this box is £119.50 yet the box retails at just £35. If you're a person who only likes certain types of fragrances this box may be a bit hit and miss for you. But if you're a person who loves all fragrances, it's well worth investing in this box. 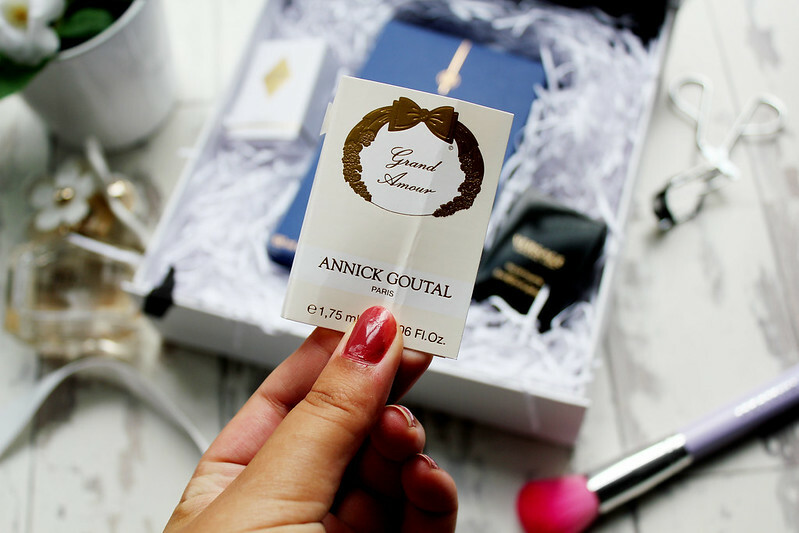 This white edition fragrance box features brands including Guerlain, Versace, Boucheron and Annick Goutal. 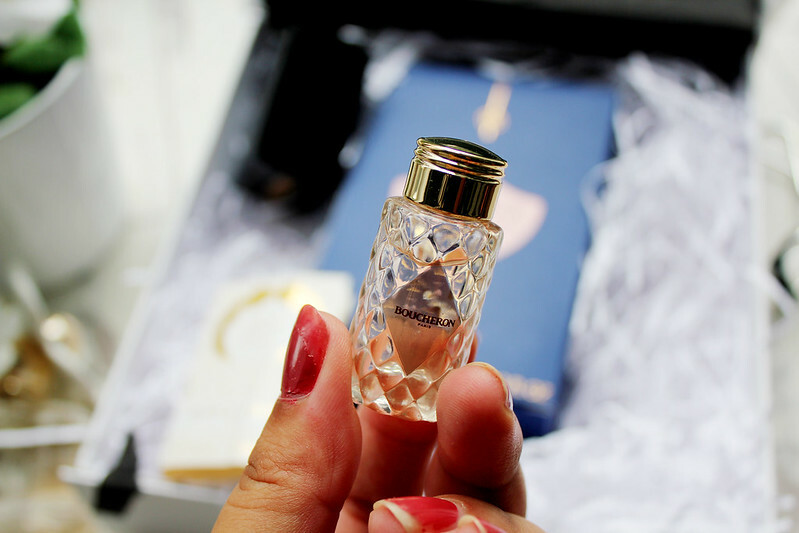 I've never actually heard of Boucheron before and I was pleasantly surprised by this fragrance. I think this a great fragrance to wear day or night and it fits safely in your handbag too as it's only 4.5ml. This is a quite dark and sultry fragrance. I think this is one for people who enjoy a bolder scent, as it seems to be quite spicy as well. This is definitely a fragrance which is more to be enjoyed in the evening. This is a perfume sample I wasn't very keen on, but for those of you who like unique and different scents this may be one for you. This scent is very floral and reminds me a bit of the smell you get when you have a bouquet of flowers. It's a very small sample so I don't feel too bad about not being keen on this one. This was a sample I was probably most excited about. I absolutely ADORE the packaging of this perfume. 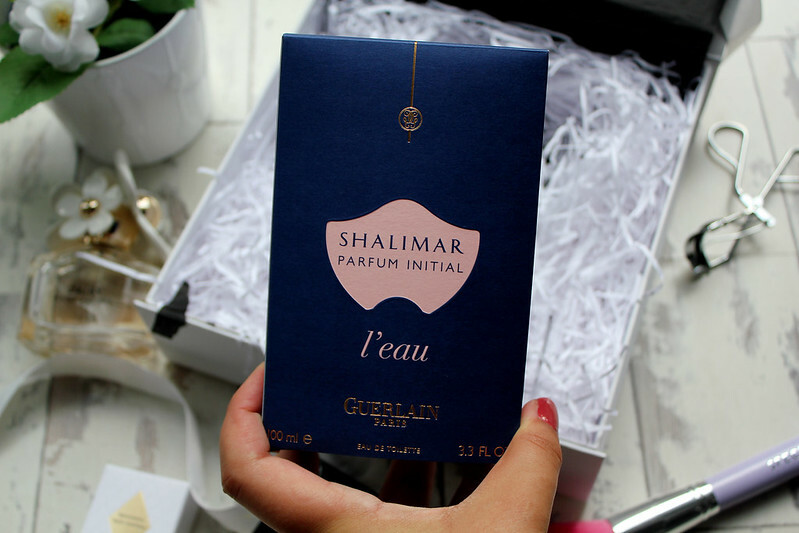 This perfume is inspired by a love story of Shah Jahangir and his wife, Mumtaz Majal who built the Taj Mahal in her honour. 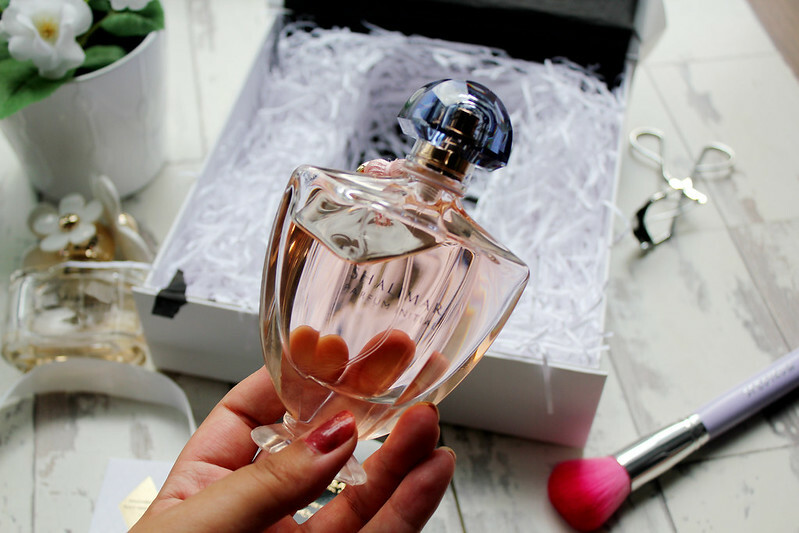 This is definitely a fragrance for people which like bold scents and with notes such as Jasmine, Iris and Rose. 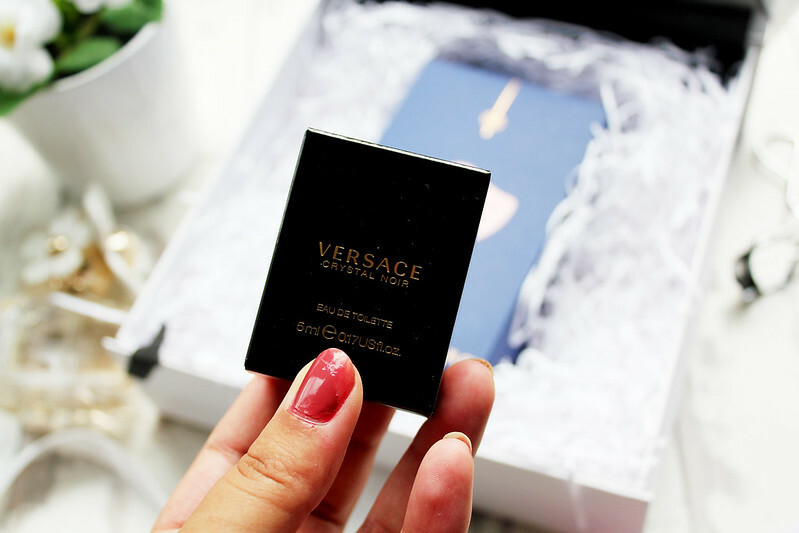 Overall this box is a real treat for people who are perfume lovers and like bold scents. It's definitely worth it if you're looking for new scents to try or just for a gift for a friend. What do you think of this Cohorted White Edition Box? What do you think about perfume boxes?